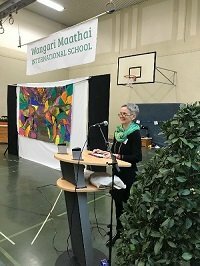 This morning, March 22, 2019, the Second International School at Babelsberger Strasse 24 officially took on its new name during a ceremony in the Sporthalle: Wangari Maathai International School. 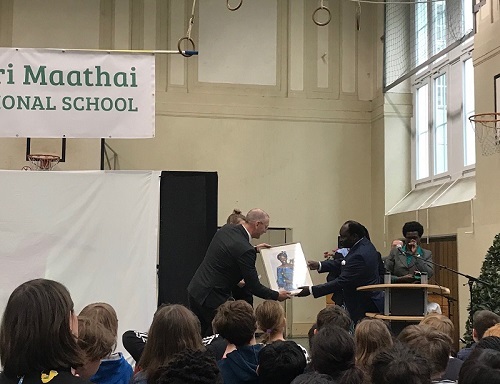 Sharing their excitement for the occasion and words of wisdom for the future of the school were the Acting Principal, Mr. Matthias Roesner, State Senator for Education, Mr. Mark Rackles and the Ambassador of Kenya, Mr. Joseph Magutt. 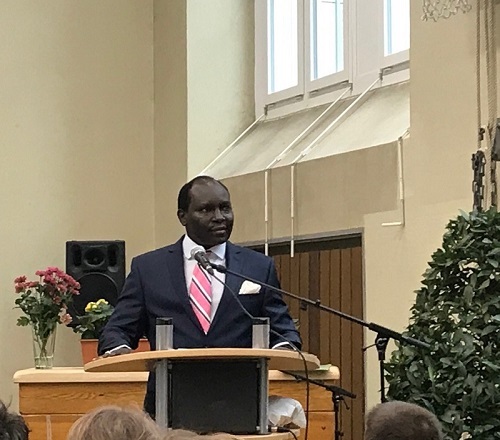 The children, together with their creative teachers and several engaged parents, presented a school song, a theatrical performance inspired by “The Little Hummingbird” and a biography of the of Kenyan Environmental Activist and Nobel Laureate, Wangari Maathai. 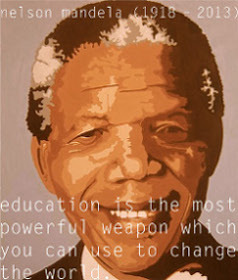 As WMIS grows from four flex classes, they look forward to instilling Ms. Maathai’s teachings of peace, equality and respect for the environment in their everyday lives. 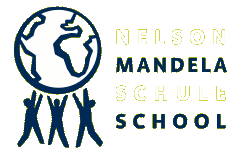 They are off to a good start — thanks to the excellent foundation laid by the NMS community!